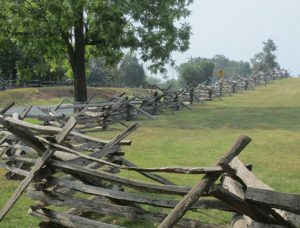 Best known as the site of two major Civil War battles, Manassas has a rich history with plenty of historic sites to explore. The town in northern Virginia also offers a variety of events and activities for both locals and tourists to enjoy. If you’re looking for things to do in Manassas, Virginia, check out these top attractions. Located north of Manassas, the Manassas National Battlefield Park preserves the site of the two historic Battles of Bull Run. The park offers a number of scenic vistas, activities, walking trails, and historic sites that appeal to most visitors. Also stop by the visitor’s center where you’ll find electronic maps, battle memorabilia, displays of equipment, interpretive presentations, and some history provided by service rangers. The Manassas Museum is a must-visit destination during your time in northern Virginia. The museum displays a variety of local artifacts including an extensive exhibit of the town’s Civil War era and railroad history. Museum tours, events, and programs are designed for all ages and are continually changing. After visiting the museum, stop by the Manassas Museum Store, Echoes, for distinctive gifts. The Hylton Performing Arts Center in Prince William County is an elegant complex featuring an opera house and theater. The venue hosts a broad range of performances and music in its 85,000 square foot space. The opera house seats 1,123 guests and its clever design ensures that every audience members has an intimate experience. Stop by the Arts Center to enjoy everything from Beethoven to bluegrass. If you’re visiting with children, the Splash Down Waterpark may be just the attraction for you. Located within the Ben Lomond Region Park area, the spacious waterpark is perfect for family outings, company picnics, team-building events, banquets, and more. In addition to season passes, Splash Down Waterpark offers several options for safe and enjoyable play, as well as food options and accommodations. 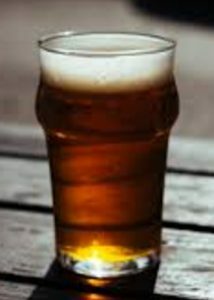 Enjoy an afternoon of beer tasting at the Heritage Brewing Company in Manassas. The veteran-owned brewery offers a taproom, tours, and standard and experimental brews. Heritage currently operates two facilities in northern Virginia. Manassas is the site of their headquarters with brewery and taproom. This is where the owners produce and package beer and coffee. Schedule an appointment to taste new and established beers. If wine is more your thing, stop into the Aroma Wine Tasting Room. This new addition to the estate allows guests to visit and enjoy a tasting or glass of wine with a sweeping view of the magnificent vineyards from the wrap-around veranda. The Morias Vineyards and Winery is a family friendly environment with picnic tables and play areas. Children are welcome in any area with the exception of the bar. Manassas, Virginia has no shortage of fun and exciting sites, events, and activities to do and see. Plan your stay accordingly by adding some of these popular attractions to your itinerary.